Best All-Inclusive Resorts Handpicked For You. With hundreds of hotels and resorts to choose from and each hotel chain specializes in a slightly different type of vacation experience. Quamis Travel can help you make the right selection for your unique travel needs. Whether you are planning a romantic getaway, destination wedding, a family reunion group, a weekend getaway or the dream vacation of a lifetime, we can give you insider information about each resort to ensure you have the perfect trip. AlSol Hotels and Resorts AlSol Hotels and Resorts are family-friendly resorts that are focused on high quality service, luxurious amenities and entertainment for the whole family. These modern Punta Cana resorts are perfect for those seeking a true Caribbean getaway paired with luxury. AlSol Hotels and Resorts also offers a resort in Cancun, All Ritmo Cancun Resort & Waterpark, their most child-oriented resort just ten minutes from the Hotel Zone. 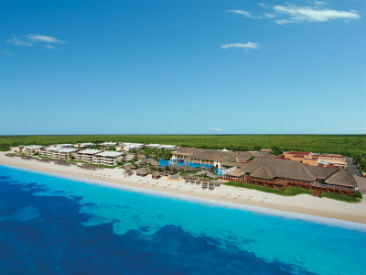 BarcelÃ³ Hotels & Resorts The BarcelÃ³ Group, established in Spain over 80 years ago, is one of the largest travel companies in the world; Barcelo Hotels boasts more than 142 hotels in 16 countries including Mexico, Latin America and the Caribbean. The group-ownership has been held by the BarcelÃ³ family for 3 generations and promises to provide guests with a fun, family-oriented atmosphere that everyone can enjoy. Be Live Hotels Known for their excellent service, location, style and comfort, Be Live Hotels offer spectacular beaches, crystalline waters and the warmth that comes with a plethora of sunshine. Enjoy the unique experience of the ocean merely a few steps away when booking a vacation to Be Live Hotelsâ€™ magnificent resorts. 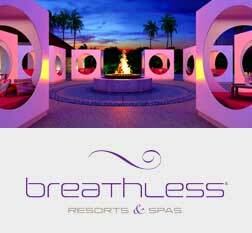 Breathless Resorts and Spas Experience the ultra-modern, adults-only lifestyle that is Breathless Resorts. Designed specifically with singles, couples and friends in mind, these four incredible locations feature the incredible Unlimited LuxuryÂ® all-inclusive plan, gourmet restaurants, exciting nightlife, gorgeous beaches and endless possibilities. Join the party and discover what youâ€™ve been missing at Breathless! Catalonia Hotels & Resorts With locations in Punta Cana and Riviera Maya, Catalonia Hotels & Resorts offers all-inclusive stays with family and adults-only options. Guests can relax on the beautiful beaches, enjoy fine dining and find non-stop activities for everyone from couples to kids. CHIC by Royalton Indulge and invigorate your senses at the new CHIC by Royalton! CHIC offers an Adults Only All-Exclusive experience where day merges into night and guests can enjoy luxurious indulgences around the clock. CHIC serves up premium cocktails, masterfully crafted food, superior entertainment and an elegant, yet relaxed, ambiance. 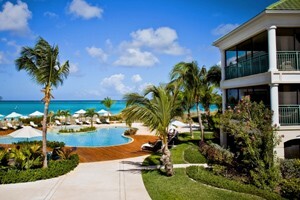 This all inclusive adults-only resort is perfect for couples or singles looking to have some fun in the lap of luxury. Experience All-In Luxury and All-In Connectivity, exclusively at CHIC by Royalton! Couples Resorts Rediscover one another in the naturally beautiful and personally pampering setting that is tropical Jamaica. Couples Resorts will redefine everything you've ever known about a couples-only, all-inclusive resort. Crown Paradise Hotels & Resorts Crown Paradise offers all-inclusive, adults-only and family-friendly beach resorts in Mexicoâ€™s most popular vacation playgrounds: Cancun and Puerto Vallarta. At each of the three oceanfront Crown Paradise Resorts, you will find the same high standards of hospitality coupled with well-appointed accommodations and a wide variety of activities and amenities. El Cid El Cid Resorts is the ideal vacation destination providing warm, welcoming Mexican resorts, immersed in local tradition. Whatever type of vacation you desire, El Cidâ€™s thoughtful staff is prepared to cater to your every need, with a highly individualized style of service. Experience true Mexican hospitality through El Cid Resorts; a unique, one-of-a-kind experience awaits in MazatlÃ¡n and Riviera Maya with something for everyone! El Dorado Spa Resorts & Hotels by Karisma Discover a new level of all-inclusive, adult-only luxury at El Dorado Spa Resorts & Hotels. Located on stunning beachfront sites throughout the Riviera Maya, El Dorado Spa Resorts & Hotels enhance the experience by providing breathtaking sea views, outstanding accommodations, exceptional hospitality and service, innovative gourmet cuisine and revitalizing spa services to all of their guests. Elite Island Resorts Elite Island Resorts represents an impressive collection of unique beachfront properties in the Caribbean. Each Elite Island Resorts property provides something matchless to fulfill every traveler's desires, with offerings ranging from destination weddings or romantic escapes to family retreats or eco vacations. Excellence Group Luxury Hotels & Resorts At the heart of the Excellence experience is wellness of mind, body and spirit. For adults with a taste for luxury, romance and relaxation, one of Excellence Resort's all-inclusive resorts is where you belong. Be sure to book with one of the three beautiful locations in Riviera Maya, Playa Mujeres and Punta Cana. Generations Resorts by Karisma Generations Maroma and Generations Riviera Maya are Mexicoâ€™s premier all Suite, all Butler, all Gourmet beachfront resorts perfect for couples, families, groups and wedding parties. Both feature spacious suites and infinity pools with deluxe Karisma Gourmet InclusiveÂ® Experience amenities. Hard Rock Hotels Internationally recognized as a world-class entertainment and lifestyle brand, Hard Rock's 'All-Inclusive Collection' offers stylish and contemporary design, unparalleled service and exciting Rock Star amenities, not to mention the thread that unites them allâ€¦ music! Hideaway at Royalton Luxury Resorts Luxurious, exclusive and elegant are just three qualities of the adults-only Hideaway at Royalton Luxury Resorts. These resorts bring you unparalleled service, breathtaking sights of the ocean, stunning sunsets, all-inclusive packages and more. 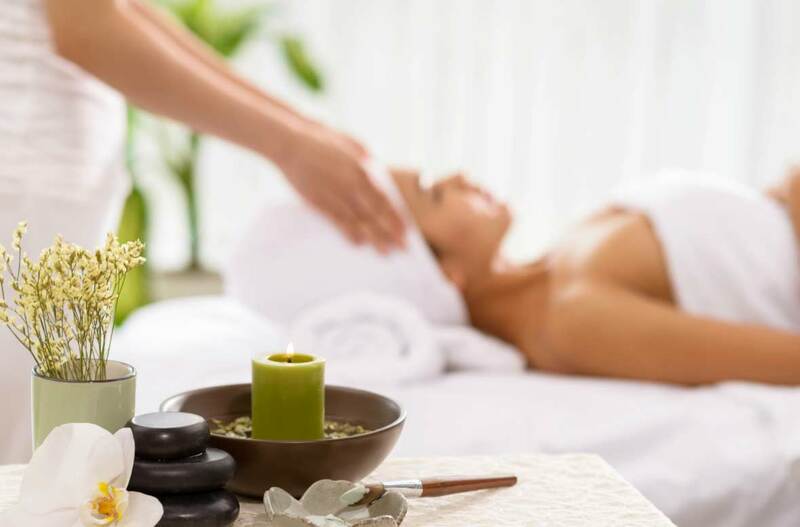 Spa services, rich food and premium drinks, coupled with the relaxation that comes with the stillness of a kids-free environment will give you the vacation youâ€™ve always dreamed of. Hyatt Zilara All-Inclusive Resorts Hyatt Zilara, adults-only, all inclusive resorts create endless opportunities to live in the moment. Guests delight in unique and spontaneous experiences, whether you seek ultimate relaxation in a carefree, sophisticated setting or a calendar full of activitiesâ€”allowing you to explore their surroundings. Hyatt Ziva All-Inclusive Resorts Hyatt Ziva all inclusive resorts capture the fun and excitement of a beach vacation. Guests of all ages discover new things, bond in new ways and enjoy a welcoming staff all in the beauty of local culture and authentic culinary delights. The experience will inspire stories among groups, families, friends and soon-to-be friends. 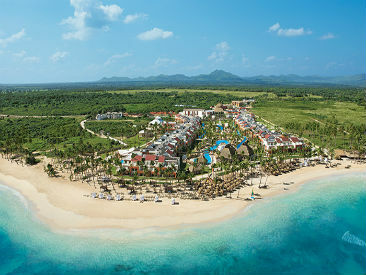 Iberostar Resorts At Iberostar Resorts, located throughout Mexico and the Caribbean, attentive service, spectacular surroundings and spacious suites combine for an unforgettable, all-inclusive vacation experience for all ages. 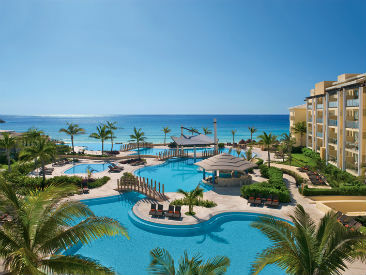 The Iberostar Grand resorts cater to adults-only in an intimate setting. Jewel Resorts Discover paradise at Jewel Resorts! Experience the some of the most beautiful resorts in Jamaica: The Jewel Dunnâ€™s River Beach Resort & Spa, Jewel Runaway Bay Beach & Golf Resort and Jewel Paradise Cove Beach Resort & Spa. Enveloped by a lush landscape and surrounded by the crystal-clear Caribbean Sea and sun-kissed beaches, these Jamaican resorts offer unrivaled all-inclusive vacations! Youâ€™ll find yourself in comfortable accommodations that evoke the natural beauty of Jamaica and offer every comfort. And just steps away, discover some of the best dining options, attractions and amenities Jamaica has to offer. Majestic Beach Resorts Majestic Resorts operates two beachfront, all-inclusive, golf, casino and spa resorts in Punta Cana, where comfort and fun combine for a relaxing vacation experience. Colonial-style design, beautifully decorated suites and personal service are Majestic's hallmarks where you are sure to have the vacation of a lifetime. Melia Hotels and Resorts Melia Hotels & Resorts has been a global leader in holiday travel for over 50 years. The Melia All-Inclusive group offers beautiful hotels in choice beach locations in Mexico and the Dominican Republic, featuring an amazing variety of recreational activities and entertainment options for all ages. Now Resorts and Spas Now Resorts & Spas offers a new brand of luxuriously comfortable lifestyle resorts through its Unlimited-LuxuryÂ® design. This signature vacation concept caters to couples, friends and families with desirable beachfront locations, oversized guestrooms and suites, and first-class amenities and services. Oasis Hotels & Resorts Oasis Hotels & Resorts are quintessentially Mexican, all-inclusive resorts. The wide selection of hotels and locations asserts the philosophy that Oasis can be an amazing vacation for all. Offering a romantic rendezvous, a deeply relaxing interlude, family fun, excitement or blissful tranquility, Oasis has everything youâ€™re looking for and more. Take a journey to paradise, taste the bounty of Cancun and let your senses come alive. Thereâ€™s no better place to escape to than one of the seven Oasis resorts in Mexico. Original Resorts is an exclusive adults-only hotel chain with a focus on upscale intimacy. Couples can relax in the pool or dive into excitement, day or night at the resort or on the privileged beaches of beautiful Riviera Maya and popular Cancun. Palace Resorts & Le Blanc Spa Resort Palace Resorts set the standard in five-star, all-inclusive resort accommodations throughout Mexico's most popular destinations - Cancun, the Riviera Maya, Isla Mujeres and Cozumel. 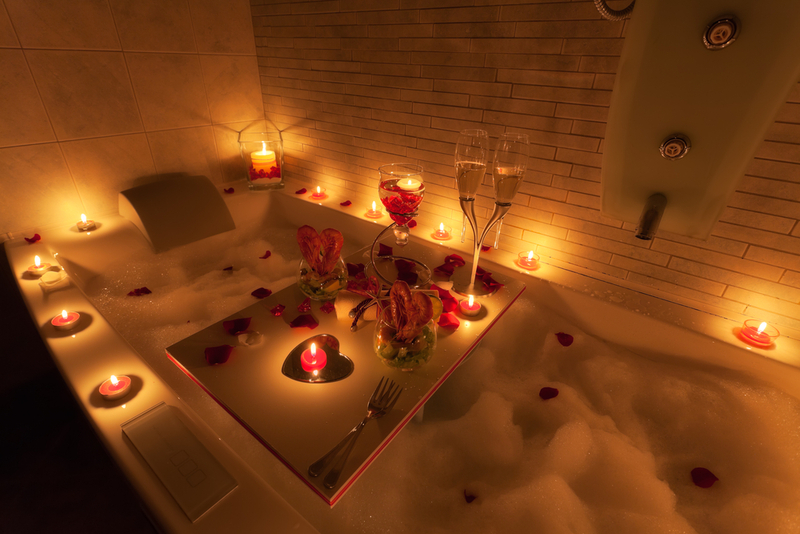 For clients seeking true luxury and lavish amenities, look no further than the LeBlanc Spa Resort. 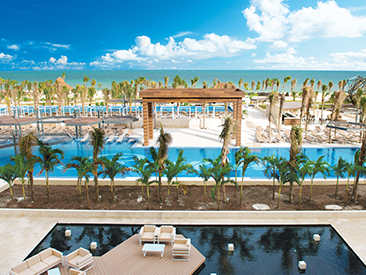 Palladium Resorts The Palladium and Grand Palladium Hotels & Resorts are managed by the Fiesta Hotel Group. Located in Jamaica, Punta Cana, Puerto Vallarta and the Riviera Maya, these all-inclusive resorts are set on privileged, beachfront properties and built in harmony with their natural, beautiful surroundings. 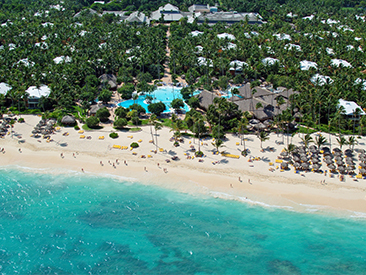 Paradisus Resorts Indulge your senses at a Paradisus Resort. Luxury resorts, located in Playa del Carmen, Mexico and in Punta Cana, Dominican Republic, are filled with continuous, exhilarating experiences, complete with opportunities for fun and excitement that will refresh and rejuvenate your mind, body and soul. Park Royal Hotels and Resorts Park Royal all-inclusive resorts appeal to families and travelers of all ages, with daily activity programs for kids and adults alike. 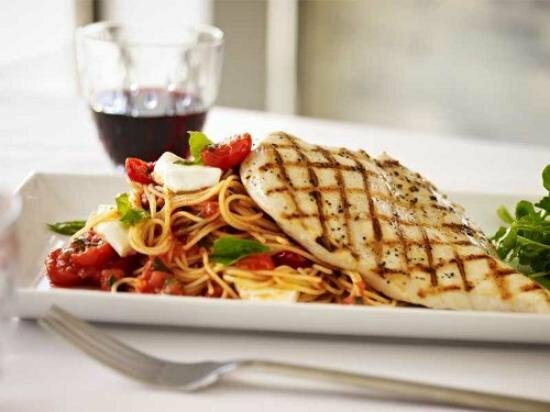 Park Royal resorts have a wide variety of restaurants and bars and provide guests with outstanding, personalized service. Each resort is situated on a beautiful stretch of beach where you can take part in a wide variety of non-motorized water sports or just soak up the sun in a beautiful vacation paradise. 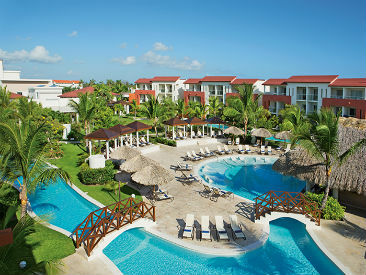 Playa Resorts Playa Resorts boasts classic accommodations and non-stop activities in an all-inclusive setting. With renowned hotel brands including The Royal and Gran Resorts, Playa Resorts brings award-winning elements to stunning Mexican beaches. Featuring upscale amenities, family-friendly options, expansive pools, numerous dining selection and much more, Playa Resorts are designed to exceed your expectations and leave guests with a memorable vacation experience. Princess Hotels & Resorts Princess Hotels & Resorts is a large Spanish hotel chain that has been in business since 1967. Specializing in all-inclusive hotels, Princess Resorts are located in the worldâ€™s most popular vacation destinations, including Punta Cana and Mexicoâ€™s Riviera Maya. Providing guests with high-quality facilities and activities while maintaining a commitment to preserve the local environment is the promise that Princess Hotels and Resorts makes to guests of their facilities. Riu Hotels & Resorts As one of the largest hotel chains in the world, with more than 100 hotels in 16 countries, RIU's enthusiasm is the best example of the renowned quality of RIU's service. Architecturally impressive hotels all strive to anticipate your desires and make sure your stay is unforgettable. Royalton Luxury Resorts Royalton Luxury Resorts are the new generation of lavish hotels, offering the ultimate in all-inclusive vacations. Their All-In Luxuryâ„¢ concept is devoted to providing guests with a unique experience, combining the soul of each resort's host community with a luxury product, exceptional service, and incredible attention to detail. At the Royalton, every aspect of the guests' stay has been carefully, yet artfully, designed to deliver a personalized experience that awakens and enriches the senses. Sandos Hotels and Resorts Come to Mexico and discover three unique resort experiences at beautiful Sandos Hotels and Resorts. The Eco Experience resorts offer guests a one-of-a-kind eco-experience while being surrounded by Mexicoâ€™s natural beauty. The Beach Experience resorts are perfect for travelers who want some fun in the sun and are located in Mexicoâ€™s most exciting beach destinations. The Luxury Experience resorts offers complete indulgence and upscale amenities, chic design and a true VIP experience for your next all-inclusive vacation getaway. Sunscape Resorts Rediscover the kid in you at Sunscape Resorts & Spa, a family-friendly resort boasting tranquility, rejuvenation and fun in the sun! Immerse yourself in Unlimited-FunÂ® with daily activities, unlimited drinks, live music and local entertainment. 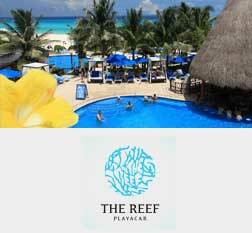 The Reef Resorts & Spa Immerse yourself in picturesque Playa del Carmen at The Reef Resorts and Spa. The modern yet classic, active yet laid-back resorts were designed specifically with singles, couples and families with children of all ages in mind. The three ideal locations feature all-inclusive plans, convenient access to Playa del Carmen, Mexican Caribbean architecture, gourmet restaurants, exciting nightlife, breathtaking beaches and endless activity options. Get in a relaxed Caribbean state of mind at The Reef Resorts and Spa! TRS Hotels TRS Hotels (formerly The Royal Suites by Palladium) are adult-only resorts featuring exclusive facilities and personalized service for those seeking a luxury vacation experience. Privacy, relaxation and tranquility, not to mention the added benefit of accessibility to adjacent Palladium Resorts complex facilities, can be found at any one of the Royal Suites fine hotels. UNICO 20Â°87Â° Hotel Riviera Maya UNICO 20Â°87Â° Hotel Riviera Maya is an all-inclusive, adults-only (18+) hotel in Riviera Maya. It is one of the most populated and beautiful destinations in Mexico. Located close to Tulum and Playa del Carmen, this elegantly and meticulously curated resort features five restaurants, including Cueva Siete by Celebrity Top Chef Bravo, six bars including a lounge with live entertainment and a mixology program. Viva Wyndham Resorts Immerse yourself in sand, sun and tropical waters, and explore everything Viva Wyndham has to offer. 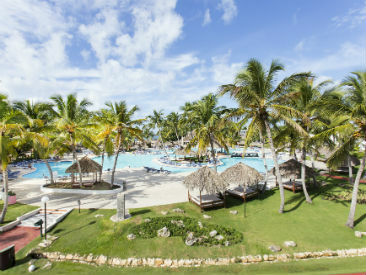 Several Viva Wyndham resorts in the Dominican Republic, the Bahamas and Mexico have even earned Green Globe 21 international environment certification. 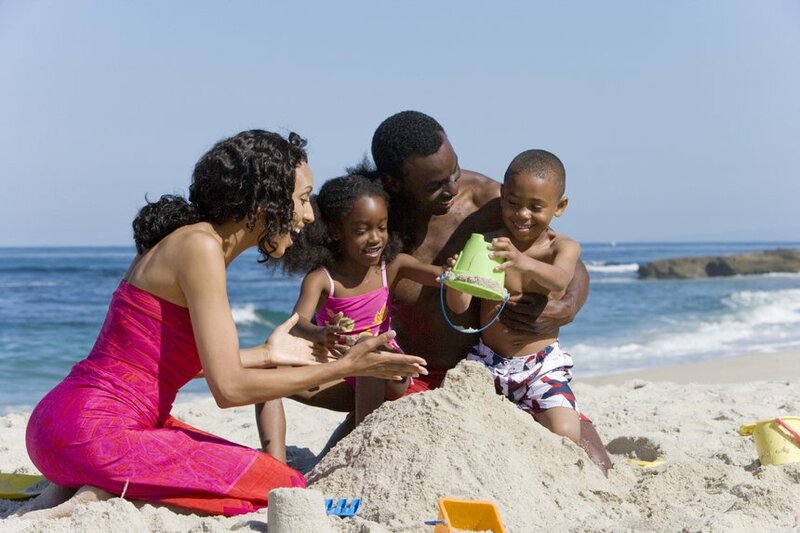 Perfect for families and couples alike, at Viva Wyndham, you can be completely pampered and completely care free. ZoÃ«try Resorts and Spas ZoÃ«try Wellness & Spa Resorts, featuring Endless PrivilegesÂ®, offer guests a refined and unique, ultra-luxurious vacation experience that focuses on wellness, serenity and romance, as well as social and environmental responsibility.